I love to give gifts. Recently, a friend was talking about The 5 Love Languages, and she mentioned that one of them was receiving gifts. I think my love language might be giving gifts. There is nothing better than finding just the right gift. I can hardly wait until they open it. I might be more excited about giving the gift than the person getting it. And there is nothing better than making that perfect gift. My favorite part of making gifts for others is the time that it takes. As I make gifts, I think about the person I am making it for. With every stitch, every piece of fabric, every new design I think about them. As I create, I think about the person I’m giving the gift to and I fill their gift with hope and love and dreams and life. I pray over them. As I make a bag, I think of the places they will travel with it, or the treasures they will put in it. When I give someone a quilt, I think about them laying by the fire wrapped in the quilt reading a good book. When I make gifts for a baby, I think about the hope and dreams that parents have for their child. I think about the love surrounding the baby and I pray for the new life being born. One thing I love after giving gifts is hearing from the recipient how they use the gift. Telling me they take the bag with them as they travel, or wear the slippers every night when they get home just makes my heart sing. This past December, God put it on my heart to give a very unique gift. A gift of life, of love, of dreams, of hope and of time. It all started with an email from one of my good friends that she forwarded from someone we kickbox with. Our friend’s husband is facing a very serious health concern. He was reaching out, looking for help. He needs a kidney transplant. As soon as I read the email, I knew this was a gift God was calling me to give. I have a kidney, I can help. I contacted our friend and asked her what I could do to find out if I could be a donor for her husband, and so the process began. I felt like God was presenting me with an opportunity to give a gift that would change not only his life, but mine as well. The act of going through this process has been one of the most life changing humbling blessings I have ever been given. It has become the ultimate homemade gift. I don’t know much about the person who will be getting my kidney. I only know he is a husband, a father – of a two year old, and a middle school teacher – which as a middle school principal, I think is awesome. As far as homemade gifts go, you really can’t get much more homemade than giving someone one of your organs. Throughout this process I think about him and his family. I fill my time at doctor’s appointments and medical appointments and the time driving to and from these appointments, and even a lot of my spare time, thinking about him and his family. And as I do, I fill those moments with my prayers for him. I am packing my kidney with prayers. Prayers of hope. Hope that my kidney is a match. Hope that his body will accept it. Hope that he will no longer have to be dependent on a machine to live his life. Hope for his health. Hope for mine. Hope for successful surgeries – for both of us. Hope for his future. Prayers of time. Prayers of quality time. Time that he will get to be with his family. Time that he will be able to spend watching his son grow up. Time he will have to spend with his wife. And even time he will spend with his students. Prayers of dreams. Dreams for him and his family. Dreams bigger than he and his family could ever dream of. Dreams that all of the things that he didn’t think he could have a chance for, that can now hopefully happen with a new opportunity for life. And finally, I fill my time with prayers of love. Love that I feel from all of the support I am receiving. Love toward my friend and her family. I pray that they will feel the love of God surrounding them, inside and out. I pray that the love and grace and the peace that I have felt throughout this journey, will be shared with my friend’s husband and their whole family. Every day of his life. In a few short weeks I will have my final clearance set of appointments at which time we will schedule the surgery. And before I know it, I will have the opportunity, the blessing, to give my kidney, to give this gift of life. In his email, my friend’s husband said he needed a hero. I’m no hero. I’m a servant, God’s servant. I am humbled and honored that God choose me to give this gift. I am a joyful and exuberant giver of the gifts that God has given to me. The gift of a kidney for sure, but that little kidney is jam packed with prayers of hope and love and dreams and time and life. In my life, it was always a time for gathering stones and building big giant stone walls, fortresses even, around my heart, around my inner-most feelings and around my dreams. If I didn’t let anyone in, then I couldn’t get hurt. Or so I believed. But when no one is allowed in, the fortress becomes very cold and lonely. There have been times in my life where it was really important to build up the fortress. There were people whom I thought I could let in – like a brother, and husbands – but once inside were there to damage and destroy from within. And so I became scared. I gathered more and more rocks, and built my fortress more and more secure. And buried myself further and further inside. But slowly I have learned that while there was a time for gathering stones and a time for building up my fortress, there is also a time to break down and throw away stones. There is a time to open up and let others in. There is a time to share the sorrows and the scary times, but also to share the joys and the celebrations because you can only really share both the tears and the joys if you let others in. Through all of the stone gathering and building, the cornerstone that has been my strength and my constant has been my faith in God. It was that faith that led me to an amazing church family, an incredible set of friends, and a strength in myself that has helped me to tear down my walls and begin to celebrate me. There is a time for everything in your life. What time is it for you now? It started when I was 10-years-old. I don’t know exactly when it stopped. I guess when he moved out of the house, or when I moved out of the house. Even though I don’t see on a regular basis anymore, I still battle the after effects everyday. It happened slowly over time. At first it was just a hug or a kiss or a caress that all just felt like too much. It was a hand up my shirt or down my pants. Nothing that was easily identifiable, just uncomfortable. He took advantage of my trusting nature. He took advantage of my rule following nature. He took advantage of the trust my parents put in him. He took advantage of the situation in which they left him in charge. He took advantage of me. He destroyed my confidence. He told me I was worthless. He destroyed my sense of self. He told me no one would ever love me. He destroyed my trust. He told me no one would ever believe me. I have fought for years to try to rewrite the message that plays in my head: I’m not good enough, I’m not pretty enough, I’m not smart enough, I’m not worthy of love. Some days are better than others in believing it. But… In my brokenness I have found healing. In my brokenness I have found strength. In my brokenness I have found hope. Through that brokenness, I have used my own pain and experiences to help others. I have been able to help others know that while abuse shouldn’t define who you are, it will always be a part of you. Through my brokenness I have comforted others and let them know that I understand, and I survived. Through my brokenness I have been able (I hope) to help a little girl rebuild and redefine herself after a horrible event happened to her. I think that as hard as it has been, and continues to be, if I can help one other person know that they are not alone, then my brokenness can be used for good. 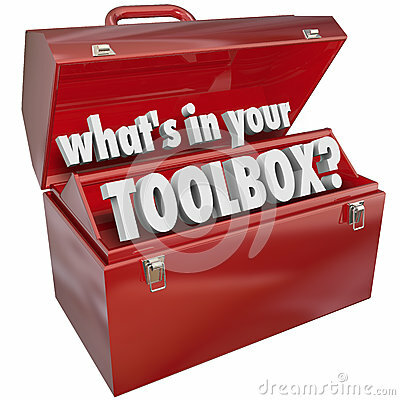 Each of us has our own set of tools, our own proverbial toolbox. Throughout out lives we are faced with challenges, opportunities, and experiences, that help shape who we are and provide us with “tools” for our toolbox. What we do with those tools can help us connect or separate us from others. Some people use their experiences to separate themselves from others, sometimes positively, and sometimes negatively. They might use them to make themselves seem more elitist or powerful than they really are. The experiences they had and the opportunities they were given make them somehow better than the average person. 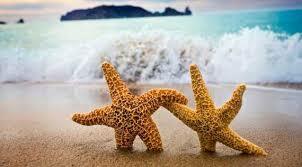 That trip abroad, or vacation they took puts them in a class by themselves. But others use their challenges as ways to differentiate themselves out negatively. More of a “poor me” attitude. No one else could have possibly experienced the same types of trauma that they have. Maybe they had an abusive or absent parent. Maybe it was an illness they or their spouse had that sets them apart. They use their experiences to push others away. In that case, the experiences become tools of destruction. Each experience is used as a way of separating from others and destroying, rather than building, relationships. I try to see my experiences in a different way. I try to see each tool in my toolbox as a way for me to connect with others. I try to use my positive experiences, as well as my negative experiences as a way to connect, support and empathize with others. When I sit down with one of my faculty members, a student, or a parent, I try to use those tools to share an experience and build a relationship with them. Having a toolbox with tons of “tools” or experiences in it is only beneficial when those tools are used in a constructive way.